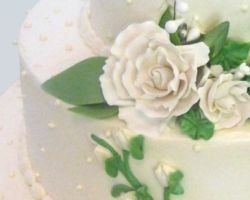 Starting with a simple premise, natural fresh ingredients and careful application of skill, Lana is able to create some of the most impressive Chicago wedding cakes. Her company, Lana’s Dazzling Desserts, is a French inspired bakery that has a whole range of desserts. Nowhere else in Illinois will you find the level of flexibility and customer service that Lana provides. Although they have a European style, this bakery has no limitations and is able to provide any cake you could possibly think of. From humble beginnings, Sweet Mandy B’s has gone from family home baking to one of the top bakeries in Chicago. Since then the store has become a symbol of the local area. Sweet Mandy B’s is there through every special celebration and would be proud to also supply a delicious cake for your wedding day. 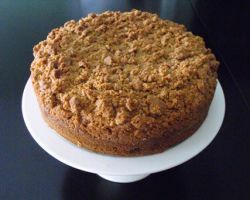 They have a great range of cake and icing flavors whilst also being very flexible with the size of the cake. Last but not least, their prices are some of the best in the city. As one of the oldest cake bakeries in Chicago, you can be sure that they have been serving the best cakes since the beginning. Having passed the business down through family members, Weber’s Bakery Inc. has been able to hold onto the key values that it was founded upon. Their talents are limitless and they will endeavor to make special designs of your choosing or completely design something guaranteed to impress your guests. 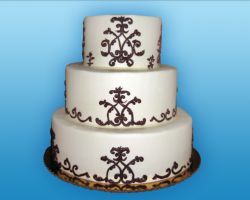 Whether you are looking for birthday cakes, wedding cakes or baby shower cakes, they can help. 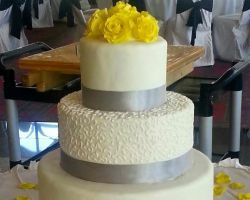 There are a limited number of bakeries offering wedding cakes in Chicago, IL, that have been in the city for over fifty years. In this time Jarosch Bakery has expanded several times in operation and in the skills of their bakers. Their store today is modern and creates custom cakes that have a beautifully unique feel to each one. For a wedding cake, you will be able to make use of their extensive set of decorative talents and cake toppers to make a cake that is perfect for you. The bakers at Defloured have one aim: to make dessert an option for everyone. They decided at the beginning to make an alternative bakery that still has affordable prices. 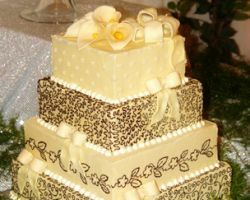 Whether you are Celiac or have a gluten allergy then they will create a delicious and beautiful cake for your wedding day. Johanna, the genius behind Defloured, has always had a sweet tooth and knows how important a fantastic cake can be for a wedding. She loves that she can provide something sweet on your special day and be part of the celebration.